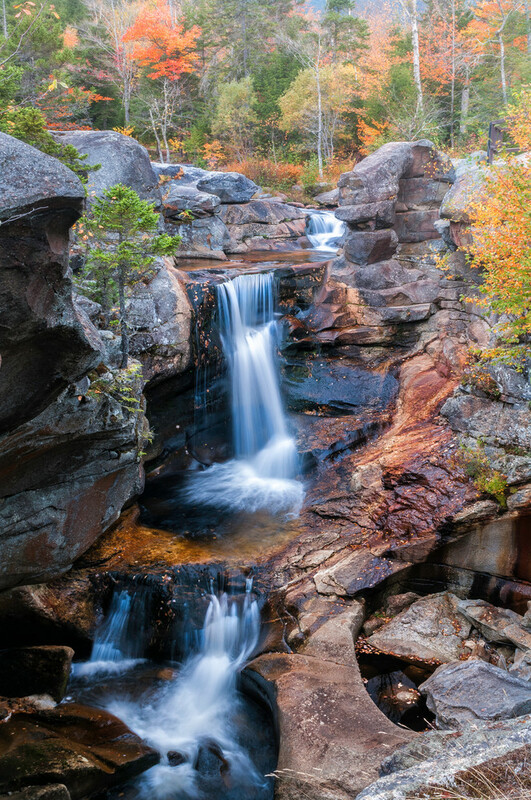 The Bear River twist it's way through a scenic gorge in Maine's Grafton Notch. Screw Auger is a naturally eroded scenic series of cascades. An extremely photogenic area, Bear River has cut an intricately sculpted gorge through a banded granitic formation. I've visited and photographed this location many times, my favorite without a doubt is when the fall colors are prominent in the distance.